The dangerous aspect of hypertension or high blood pressure is that one may not even come to know that he is having it! Therefore it is also labelled as a ‘silent disease’ Almost 1/3rd of people with high blood pressure are not aware of their condition. The only way to know your blood pressure’s status is through regular checkups. This becomes more important if any of your close relative is already having high blood pressure or hypertension. Even in the absence of above mentioned sign and symptoms, all adults should check their blood pressure at least 3-4 times in a year. These days’ easy-to-use electronic machines are available in retail shops, which make blood pressure screening easier and convenient. 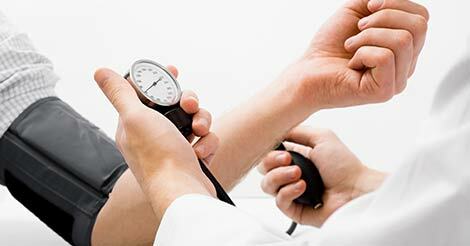 Maintaining normal blood pressure is essential otherwise it can lead to severe diseases. It is important that one understands its symptoms and act accordingly. It is always helpful to get a preventive health checkup. You can go with the master health checkup by Indus. It will provide a thorough analysis of your heart and help you in taking the right actions at the right time. If you have any doubts regarding heart checkup, the get in touch with us by filling up the query form below.